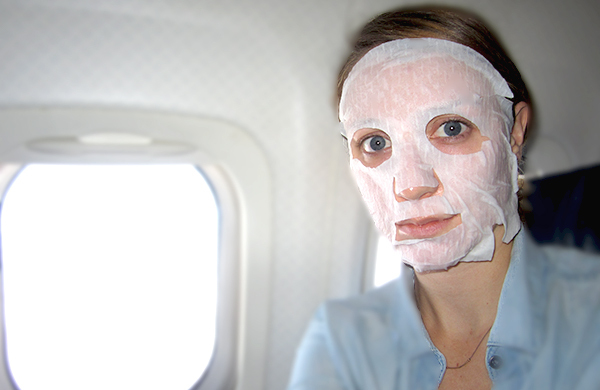 Above: The writer wearing a honey hydration mask on a flight from Chicago to Austin. 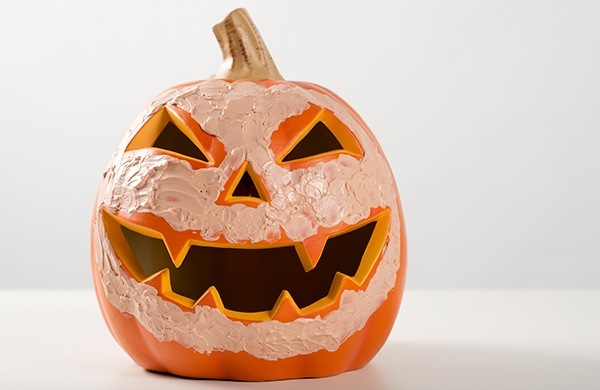 It turns out that it can be good for your skin to look like some unholy combination of Hannibal Lecter, Michael Myers, and Jason Voorhees. And, just as surprisingly, people won’t run away screaming at the sight of you. These fibrous masks, complete with cutouts for your eyes, nose, and mouth, are soaked in an intensely hydrating serum. They’ve been popular in Asia for some time, and they’re making their way into the American beauty mainstream. Given their slightly unsettling appearance, I would think that most people would wear their sheet masks in private. But apparently some of the most fashionable among us wear them pretty much anywhere. Allure, Elle, and Vogue beauty editors have spent years writing articles on the benefits of wearing sheet masks while flying, and I’ve spent years being perplexed while reading their articles. While it’s clear why someone would do this—an airplane’s dry, recirculated air can dehydrate your skin—I was skeptical that the experience would work for me. Not because I have unique skin, but because I would be seated in coach. 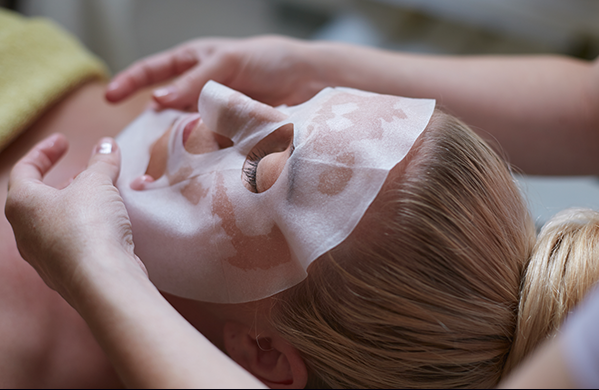 For people who aren't as bold as supermodels, sheet masks can also be applied at spas. Wearing a serial-killer face mask wouldn’t seem uncommon in first class, where passengers routinely do strange, self-indulgent things. But how would it fly in the cheap seats? I had to find out. So on a flight in coach from Chicago to Austin, I wore a sheet mask with the intention to record the masses’ reaction. With about 45 minutes left in the flight, I smoothed my $6 Sephora honey mask over my face and waited for the plane to make an emergency landing in Oklahoma, where I would be escorted off and tested for ebola. As I wore the mask for the recommended 15 minutes, I got only a few double takes when I intentionally stretched high out of my seat, practically provoking my fellow passengers to notice. I even woke up my friend and aisle-mate, who I didn’t tell about the mask experiment. She just blinked. Then she asked if I needed anything (she’s pretty used to me doing odd things in the name of beauty). When I pressed her for her thoughts, she said I kind of looked like a burn victim. So perhaps others were simply being sensitive about my assumed medical condition, politely avoiding staring. Or maybe everyone was too engrossed with their phones, books, and tablets to take much notice of the person with damp paper slapped on their face. Ultimately, I walked off the plane with glowing, hydrated skin. Even though I spent a nerve-racking period wondering if I’d frighten my fellow passengers, the result was a valuable reward. So if you’re a frequent flier whose skin gets extremely dry and dull-looking after a flight, consider applying a hydrating sheet mask. No one will really notice, and if they do, they won’t care.